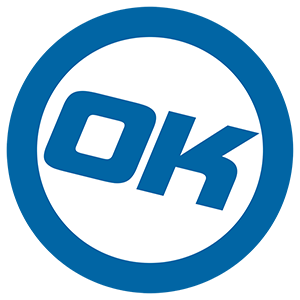 OKCash is a new Cryptocurrency that was released in November 2014. Since the start OK has shown a unique interest in the end user and tried to make the coin accessible and easy to use for the community. The launch was a success and a lot of miners participated in the pools that were mining the coin. The mining PoW process lasted 15 days without halving to make it fair for every miner no matter when they started with the coin. After these 15 days of mining, OKCash became a full Proof of Stake coin, fulfilling its goal of hybrid initial distribution. It started a new era in the cryptocurrency environment, where coins continue to be created and distributed via Proof of Stake, which is a more long-term sustainable system and much more energy friendly than Proof of work. OKCash started a new tendency in the cryptocurrency world, by injecting a positive vibe into its design and code. A lot of new coins started to get created following these ideals, some even adding the "positive" into its names just like in OK's previous name. Sadly most of these new coins lasted for only a few months and others lacked the determination to continue with its commitment to the code and its community. Others had outsourced development, meaning not having in-house devs, which makes the development process harder to maintain and makes it hard to build an efficient system as there is no main Developer with a real understanding of the code. OKCash does not present such issues: the coin has been trading since Nov 2014 and the community continues to grow in all aspects, on social networks, in markets, in use, and with its in-house dedicated Dev it's been building a solid decentralized infrastructure that's directly reflected in the coin's efficiency and speed. OKCash is one of a handful of coins that has not presented any issues with its blockchain, working perfectly since the day it was released. Even the Branding process update was neat and easy for its users, showing once again its dedication to functionality and ease of use. The initial motivation behind OKCash was to create a really efficient and fast coin with a funny association to the Pimpd TV show, evoking the phrase in the sense to "improve things" or "make things better". After the success of getting added to the first exchanges, and with the community interaction and feedback, the name became a "hot topic". Hence by Devs' and community feedback it was decided it was time for the coin to evolve and communicate the real philosophy behind its work. The community and environment itself were the driving forces behind this evolution, which is meant to provide end users with a cryptocurrency they can trust - with a name aimed for mainstream - and with the following qualities: speed, efficiency and ease of use accompanied by a dedicated and personalized working design. OKCash's rebranding was done in April 2015, and since then the OK cryptocurrency has been added to one of the largest cryptocurrency exchanges - Bittrex. This adds to the list of exchanges where the coin is already trading (C-Cex, Bleutrade, Cryptopia and Yobit). OKCash has direct USD / OK markets at Bleutrade and C-Cex, making it possible to buy or sell OK directly for fiat currency. OKCash has been referred to as "The future for Social Payments" and it has one of the strongest social presences in the cryptocurrency environment. You can actually send OKCash anywhere in the world by the easy use of the Reddit and/or Twitter Tip bots. 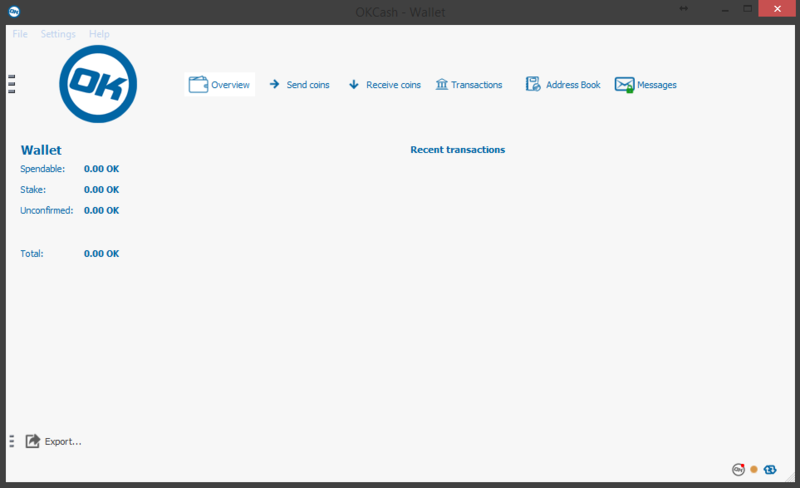 This makes it possible to send OK to anyone in the world, even if they have not yet installed and downloaded the OKCash wallet. OK complements BTC, with its speed and Proof of Stake system OK works as a currency but also as an earning system. If you keep your wallet open, you gain a % of the coins you hold in your wallet as interest. This system incentivizes the network growth and security as well, and is one of the key aspects of OK as it doesn't require special equipment. It is a more energy friendly way to sustain the whole network, reducing the carbon footprint considerably against Proof of Work technology. Since the start, OKCash has provided constant updates, a dedicated site for them and has followed the Roadmap in time and form. Its latest release is its wallet version 2.0.0.1 with improved security and a new clean, modern and fresh design with an improved logo, and they're getting ready to release their mobile wallets in the coming weeks. People still have the chance to take advantage of the 69% interest for the first year, and we invite them to do so, as in a few more months the % of stake (interest) will go down to 20% for the second year; still tasty but nothing like starting with 69% ! OK has continued with giveaways for different communities and constant contests with the addition of faucets and resources by the community to give more users the chance to have fun and get to know and use OKCash.